I started thinking about this week’s posting and had settled on writing about the role that supporters play in the context of sports when I suddenly realised that I’d written about this subject before. After pondering for a bit, I decided to write instead about the Americas Cup, which I have also written about earlier. For those who don’t know, this yacht competition, sailed in the thrilling AC72 yachts, was won 9-8 by Oracle Team USA, who made an amazing comeback from 8-1 down. I think that it is fair to say that New Zealanders expected their team to win from 8-1 in the lead as they only needed to win one race to win the regatta and the cup. It is also fair to say that almost everyone in the country both knew about and supported Emirates Team New Zealand, to the extent that the whole country almost came to a standstill at 8am which is when the racing started, New Zealand time. I can definitely state that the traffic on the motorway as I drove to work at 8am was much lighter than usual. Many people in Auckland decided to make their way to Shed 10 on the waterfront where the matches were shown on giant TV screens. When the score was 8-1 the supporters were ecstatic, expecting a quick finish to the regatta, but as the Oracle Team USA yacht continued to win, the feelings changed first to worry then to despair, however I don’t think that many if any failed to hang on until the bitter end. Contrast this to the situation in the US where most people didn’t even know that there was a yacht race on! 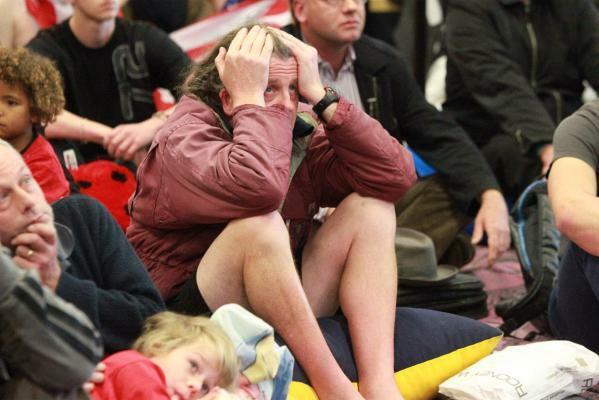 There is no doubt that Oracle Team New Zealand appreciated the support from the supporters in New Zealand and for that matter in the US, and acknowledged the continuing support in defeat. They would have also felt that they were representing New Zealand and would have felt a huge responsibility as a result. The looks on the faces of the team members after the final race would have reflected their own personal disappointment and the disappointment for having let their supporters down. Explanations for the extraordinary comeback by Oracle Team USA are naturally speculative. 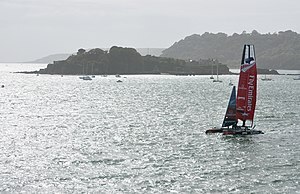 It is probably down to a number of factors, but was likely to stem firstly from the alterations that Oracle Team USA made to their yacht during the regatta, making it faster and more manoeuverable and secondly from better boat handling learnt during the regatta, not least of all from Emirates Team New Zealand. Reactions in the US to the win are interesting. The Slate expounds at length on the fact that Larry Ellison, chief executive of Oracle has expended multi-millions of dollars on the America’s Cup, that holder of the cup can pretty much determine the rules of the regatta and that the yachts are so expensive. They touched on the fact that the Oracle Team USA yacht had only one American on board, the team being predominately from New Zealand and Australia, with the only other American starting the regatta on the boat being kicked off in favour of Ben Ainslie, who is British. It almost seems that the Slate was on the side of Emirates Team New Zealand! The New York Times is more restrained, merely pointing out the huge input of cash that Larry Ellison has injected into Oracle Team USA, and commenting on the fact that yachting is a niche sport in the US but that 1 million out of 4 and a half million in New Zealand were watching the cup. (I actually think that it was much higher than a mere one million!). So, no denigration of Oracle Team USA, but no real congratulations either. 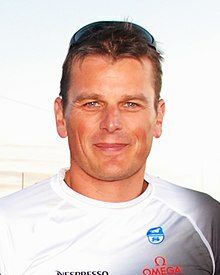 An interesting thing about all the reporting of the 2013 America’s Cup is that the American yacht has been almost universally been referred to as “Oracle” while the other yacht has generally been referred to as “Team New Zealand”, which says a lot about the general perception of who was actually racing for the America’s Cup. I believe that the Oracle Team USA yacht does not have a name beyond “17” but the Emirates Team New Zealand yacht is named “Aotearoa”, which caused American commentators some problems. The challenger of record for the next America’s Cup regatta is likely to be an Australian yacht club, which brings back memories of the other remarkable comeback in the America’s Cup history, when the Australian team came back from 3-1 down to win 4-3 and end the longest winning run in sport, but nothing is likely to top the sheer spectacle of the wonderful AC72 yachts flying on foils in the 2013 America’s Cup regatta using techniques developed and perfected by Emirates Team New Zealand and adopted with such success by Oracle Team USA. 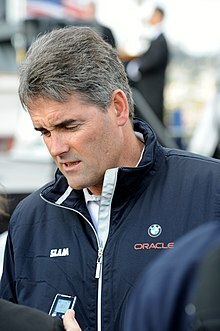 There has been no criticism or vilification of Oracle Team USA by New Zealanders or the New Zealand press so far as I know, although the Oracle Team USA team boss, Russell Coutts, has come in for a little criticism, simply because Coutts is a New Zealander. There is talk, though, that Coutts may return to Team New Zealand, if Team New Zealand in fact survives. 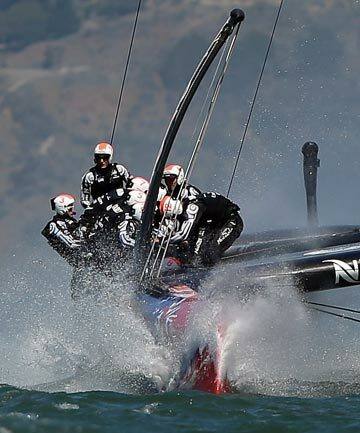 This might be an issue since Team New Zealand do not have a billionaire backer and mounting an America’s Cup campaign takes a mountain of money. 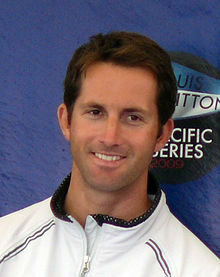 Ben Ainslie, the British tactician on board Oracle Team USA in the later races has mentioned that he would see a British challenge for the America’s Cup. It would certainly be fitting if a British challenge were to prevail and finally take home the America’s Cup. Although it officially belongs to the New York Yacht Club I believe, it was originally awarded by the Royal Yacht Squadron (Based on the Isle of Wight in England) to the yacht America in the very first race for the cup. This entry was posted in General, Miscellaneous and tagged 2013 America's Cup, America's Cup, Ben Ainslie, Larry Ellison, New York Yacht Club, New Zealand, Oracle Team USA, Team New Zealand, United States. Bookmark the permalink.